Incumbent President Bidya Devi Bhandari has been re-elected as the head of state for the second time, securing nearly three-fourths of the total vote strength of the Electoral College. Elected as the first woman president of the country in 2015, she had presented her candidacy for the second time with the backing of the left alliance—CPN-UML and CPN (Maoist Centre) which holds a comfortable majority in the Federal Parliament and provincial assemblies. 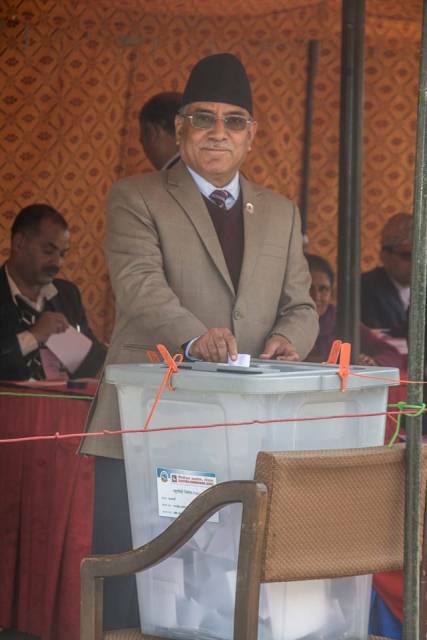 President Bhandari garnered over 74 percent of the votes to be re-elected. Out of 52,501 votes by weightage President Bhandari secured 39,275 votes while her rival Nepali Congress’s Kumari Laxmi Rai hardly drew 25 percent of the votes. The Electoral College comprising the members of Federal Parliament and provincial assemblies voted in the presidential election. Three nominated members to the National Assembly could not vote as their case is sub-judice at the Supreme Court while House of Representatives member Resham Chaudhary, who is in police custody in connection to the 2015 Tikapur carnage, was deemed ineligible to vote. Provincial Assembly member Rajib Gurung aka Deepak Manage, who is on the run after he was convicted in an attempted murder case, was also disqualified for voting. 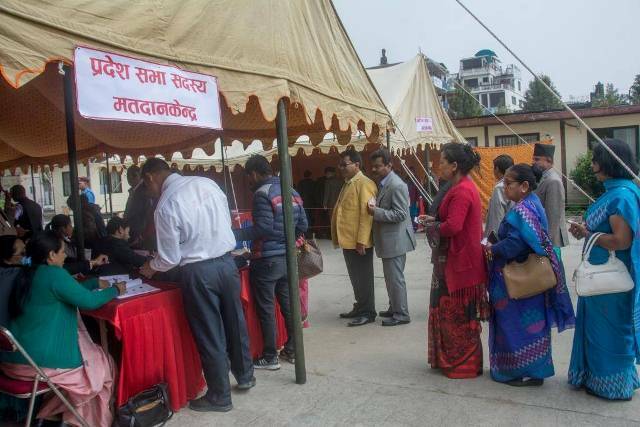 Besides the electors from the UML and the Maoist Centre, those from Sanghiya Samajbadi Forum-Nepal, Rastriya Janata Party-Nepal, Rastriya Janamorcha and Rastriya Prajatantra Party also voted for President Bhandari to re-elect her for the second full term. She was first elected the head of state in October 2015. Prior to her election, she was the vice-chairman of UML, the post to which she was elected twice in 2009 and 2014.